The GIS Research Center (GIS.FCU) provides solutions and services concerning monitoring of debris flow, landslides, suspension solids in water, bridge safety, and ecosystem, applying advanced technology and equipment to conduct environmental monitoring. Data collected on-site is transmitted to the operation center through ADSL and satellite communication. Each monitoring station is equipped with both a local power and a backup power generator to ensure non-stop observation under any conditions. Acquired information assists the government in response to the disasters. Furthermore, the monitoring system has been designed to adopt and follow international standards of Open Geospatial Consortium Sensor Web Enablement (OGC SWE) to exchange information between agencies and to enhance integration of various data resources. 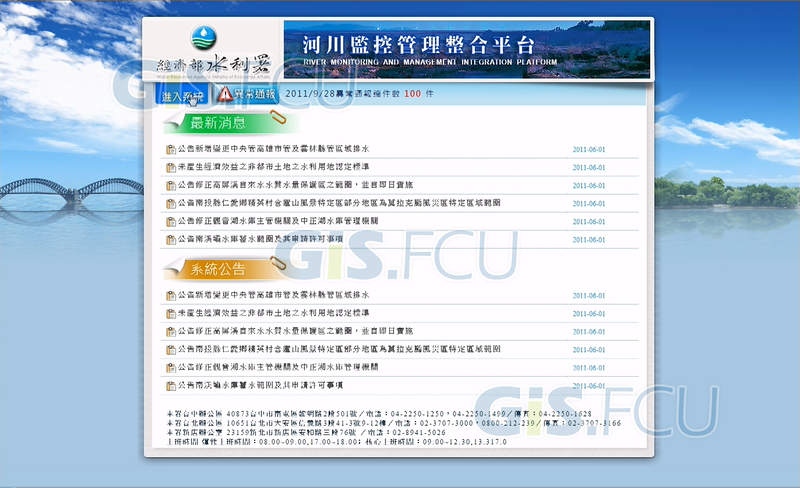 The interoperability and information integration provided by GIS.FCU has greatly improved the disaster response system and helped to achieve the ultimate goal of sharing and establishing cooperation. Integrating on-site monitoring and data analysis systems to build an all-round, fully functional monitoring platform, and assisting disaster and emergency response to ensure public safety. Using international standards to integrate data from all units, assisting disaster divisions in handling emergency situations at every step. 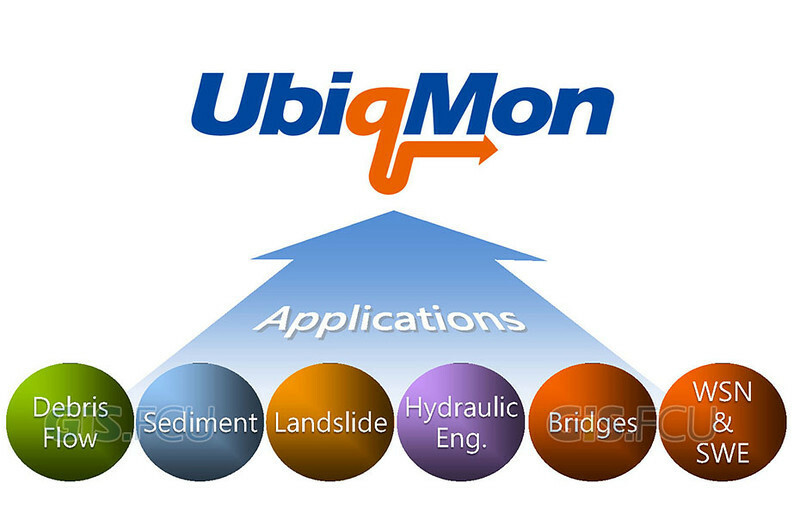 Expanding and adjusting the application according to project requirements and landform through mobile and portable monitoring units. 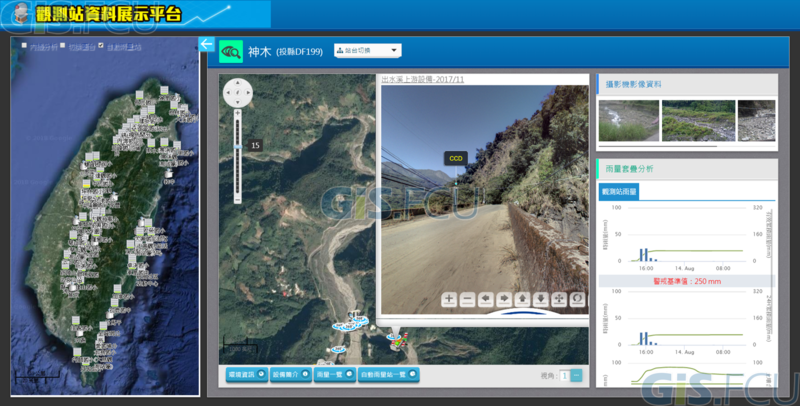 Observation platform for displaying live information of debris flow. 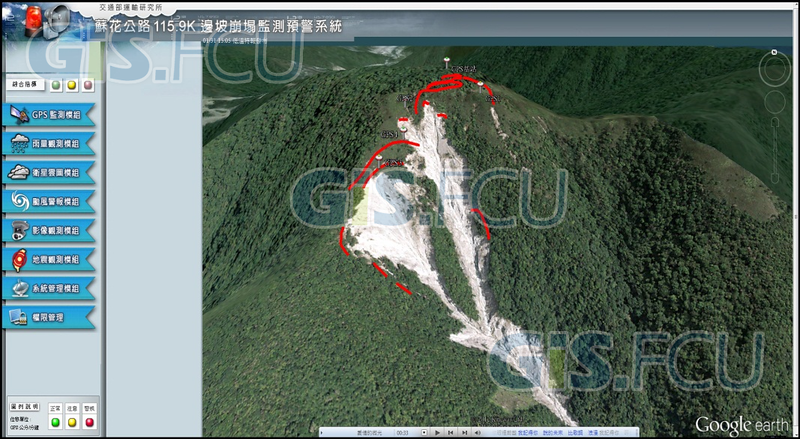 The Su-Hua Landslide monitoring system uses on-site sensors and rainfall forecasts from the QPESUMS of Central Weather Bureau to provide early warnings. The system assists the Directorate General of Highways to monitor the slope and highway safety. River monitoring is an important element of river management. Because of a large area of a river basin, a management system is required to provide effective controls. Therefore, starting from 2007, each River Management Office has developed its monitoring and management system. In 2011, the Water Resource Agency has developed the Integration Platform providing an unified entry point to manage information from each of local offices. The River Monitoring and Management Integration Platform has greatly enhanced organizational efficiency.